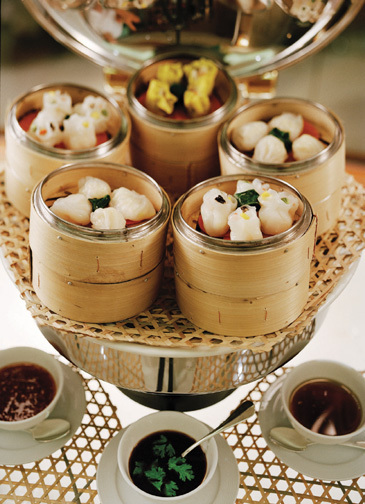 JW Marriott Hotel Seoul's Chinese restaurant, "Man Ho" is inviting you to the delightful world of taste with "Dim Sum Brunch Promotion" on weekends from Oct. 15 to Nov. 27, 2005. Dim Sum impresses people with its wonderful taste and its petite size. This promotion introduces various enjoyable set menus and dishes to give pleasure to families and friends on Saturday or Sunday morning. Made with fresh ingredients and chef's delicacy, Dim Sum has a variety of shapes and it serves with sweet and chili sauce. To stimulate taste, the set menu starts with Chrysanthemum Tea and after, Braised Sea Cucumber with Shrimp & Scallops, Stir-fried Beef with Pine Mushrooms, and diverse Dim Sums are prepared. Also, Shrimp Hargow which gives original taste of shrimp, children's favorite Shrimp Toasts, Alaskan King Crab Spring Rolls and Pork Shaomai. Other Dim Sum dishes will be presented as a la carte. 11: 45 a.m. ~ 2: 30 p.m.
JW Marriott Hotel Seoul's Italian Restaurant and lounge, "Di Moda" invites you to "Sicilian Food Promotion." It will give you great pleasure with its beautiful, vivid color and delightful taste until Nov. 30, 2005. The biggest island, Sicilian located in the Southwest of Italia has abundance fishery and agriculture resources, so it is famous for the cuisine that uses a lot of seafood and vegetables. The food harvested under endless sunshine and fertile soil not only provides you joy of sight and taste, but also make you think of an art form. "Sicilian Food Promotion" presents you Seared Scallops with Creamy Fresh Potatoes, Pan Fried Shrimp with Caponata and Lemon Caper Sauce, Olive Glazed Mediterranean Cod with Fondant Potatoes, Lobster Pot Pie, Grilled Prime Rib Florentine Style with Seasonal Grilled Vegetables, King Prawn with Serrano Ham, Corn Flan and Chive Emulsion as main courses and Fresh Lemon Custard Cake with Hazelnut Panna Cotta as desserts. These colorful and various kinds of food will be introduced to you with a la carte or course menu. 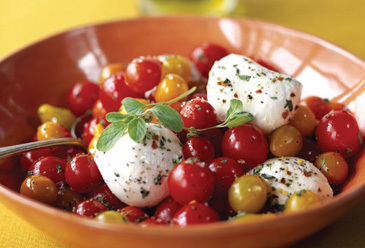 It will be a great opportunity to enjoy Sicilians' traditional menu. 06:00 p.m. ~ 01:00 a.m.